Tidleg morgon på Åndalsnes. Utsikt mot Romsdalshorn,Bispen,Kongen og Dronninga. 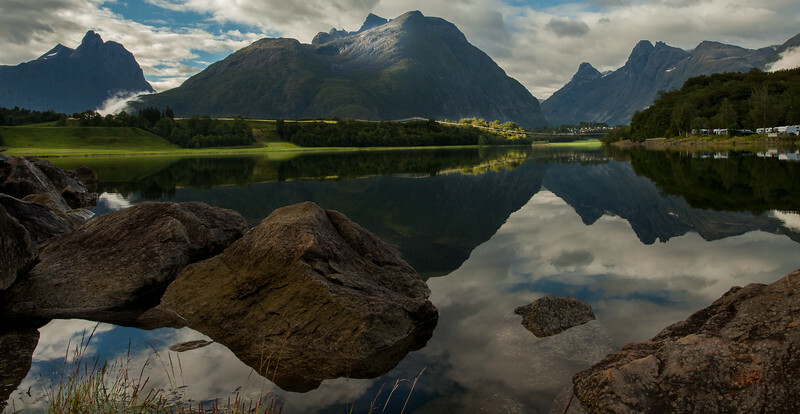 Early morning in Åndalsnes.View towards Romsdalshorn,The Bishop,The King and The Queen. Excellent...it has all the elements...you understood this composition. I would wipe out the white structures on the far left middle, but that's personal taste. Good work!